With the smooth closing of 2017 Summer Davos, Chinese culture has become a spectacular landscape of the forum. 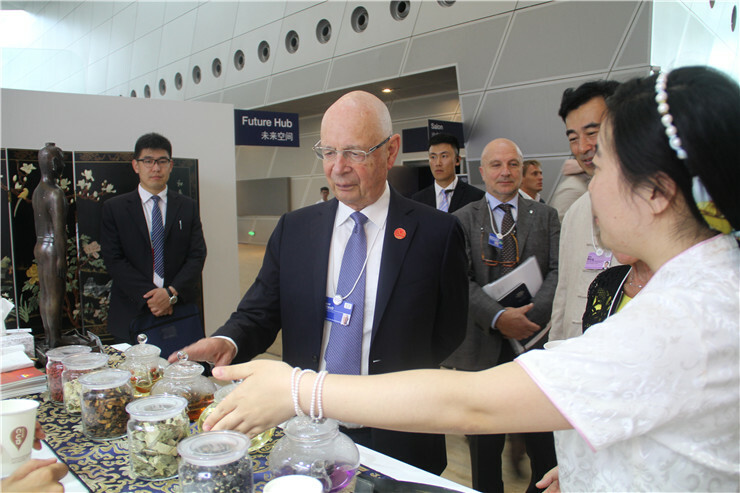 The infinite charm of Chinese medicine attracted guests from all countries, even the founder of the World Economic Forum & Executive Chairman Professor Klaus Schwab who also has a soft spot for it. During the forum, he has come to the Sun-Good TCM booth for a long time to enjoy tea and communicate with Chinese medicine doctor. When he tasted the authentic Solomon’s Seal Tea from Jiuhua Mountain, he put up the big finger. Listening to the introduction of home-made sachets with different effects, with interest, he said "I like Chinese culture" . 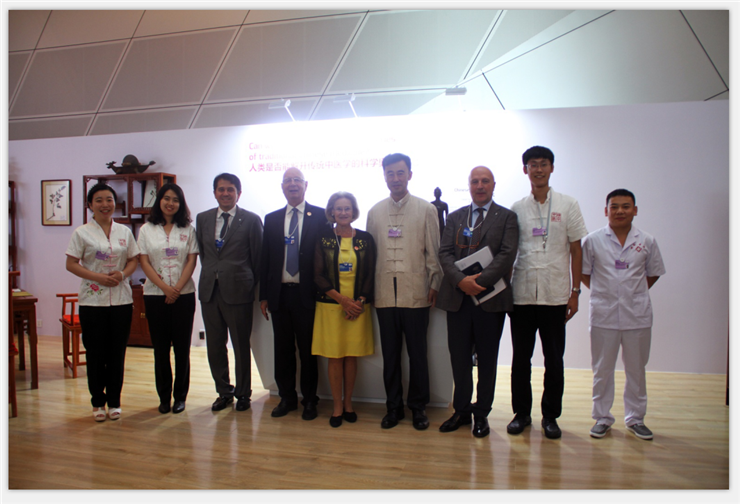 Professor Schwab's naive smile and humility left a deep impression to the presence of everyone.